Washington Rural Heritage: "Washington Rural Heritage (WRH) is an online aggregation of special collections from small and rural communities throughout the state of Washington." This site from the Washington State Library features "photographs, maps, manuscript materials, books, oral histories, and more." The idea is that the state library will help small communities put some of their historic collections online. So far the site consists of the Ritzville Heritage and Whitman County Heritage collections. 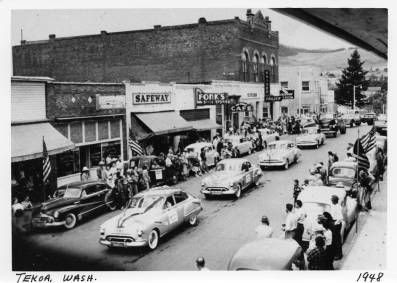 The photograph above, of a 1948 parade in Tekoa, Washington is from the latter collection. This is an important initiative from the Secretary of State--enabling obscure local history sources online as part of a larger searchable database. It will be interesting to watch the site grow as additional communities join in. Public history can appear anywhere -- even on signs deep in the Bitterroot Mountains. This historical marker appears on the "Route of the Hiawatha Bike Trail" on the Idaho-Montana border. It explains the role of section gangs some years ago in keeping the trains rolling. With several members of my family, I kept my bicycle rolling along the 15-mile trail, stopping often to listen to birds and streams -- and read the history of the region on dozens of well-designed signs like the one above. The Hiawatha Trail provides a wonderful example of the ubiquity of public history. As a development within the history professions public history is a relatively new field, complete with a national association, a journal, and curricula. Recently the National Council on Public History adopted a draft definition of the field including these words: Public history is "a movement, methodology, and approach that promotes the collaborative study and practice of history; its practitioners embrace a mission to make their special insights accessible and useful to the public." The council adds: "Public history generally takes place in settings beyond the traditional classroom." These settings include magazine articles, TV docudramas, museums, and roadside historical markers. 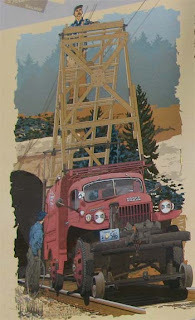 The sign explains that rigs such as this truck were used to inspect the tracks and the overhead wires -- the trains got an electric boost on the steep grade. Steadman Upham and Nat Zappia, The Many Faces of Edward Curtis (Tulsa: The Gilcrease Museum, 2006) 158 pages. When it comes to Indian photographer Edward Curtis, there are two types of books. First are the lavish coffee table books of his photographs, half-a-dozen new ones every year, featuring handsome reproductions of his artful images framed by the fawning text of the latest editor. The Curtis who emerges from these books is the same public image that he created for himself a hundred years ago—the swashbuckling ethnographic explorer and artistic genius who the awestruck natives supposedly dubbed “Shadowcatcher.” Such volumes are thin on scholarship but sell like hotcakes—there is a groaning table of them for sale at your local Borders bookstore right now. The second category of Curtis books are the scholarly ones. Fewer in number, these are often critical of Curtis, who did after all stage, crop, fake and alter many of his iconic images to produce the Indians he wanted. The Curtis of the scholars is more showman than scientist, his choreographed portraits were never about ethnography but rather were designed to reinforce the dominant American narrative of American Indians as noble but primitive and doomed by their inability to adapt. 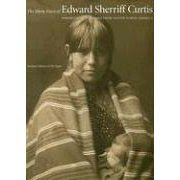 The best of the scholarly works (and I am thinking particularly of Mick Gidley’s Edward S. Curtis and the North American Indian, Incorporated) are deeply researched, persuasive, and open up new ways of understanding Native American and popular culture in Curtis’ era. But the authors of such works should not quit their day jobs. The result is a confused mishmash that treats all Indians as interchangeable and notable largely for being picturesque. The Apache baby at the start of the sequence faces a page with an origin myth of the Hidatsa, and Chief Joseph stares mournfully across the spine at a tale from the Nunivak people of Alaska. The pictures and texts are divorced from any historical or cultural context. Nor are the materials here as new as indicated in the introduction. Quite a few of the pictures in this book are also found in Curtis’ published The North American Indian and some are quite familiar. Similarly, most or all of the reprinted stories, which the introduction implies were collected from Curtis’ field notes, are also found in Curtis’ published volumes. The Many Faces of Edward Curtis faithfully reproduces Curtis’ own 19th century world view and ignores decades of scholarship on Curtis and the American Indians. One may anticipate brisk sales for the book. 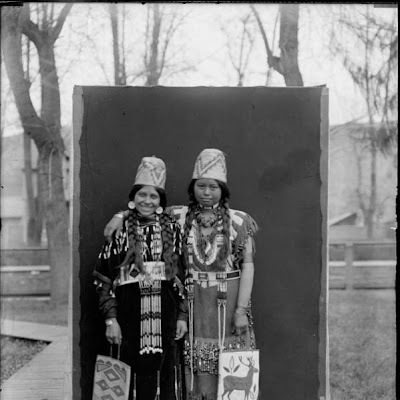 Picturing the Cayuse, Walla Walla, and Umatilla Tribes: Major Lee Moorhouse of Pendleton, Oregon was an Indian Agent for the Umatilla Indian Reservation and a photographer. 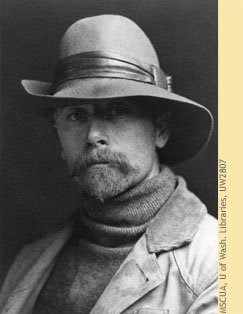 From 1888 to 1916 he produced over 9,000 images which document urban, rural, and Native American life in the Columbia Basin, and particularly Umatilla County, Oregon. So extensive and revealing are Moorhouse's images that his collection is one of the preeminent social history collections for Oregon. Special Collections & University Archives of the University of Oregon Libraries has a collection of 7000 images by Major Moorhouse . . . . The project’s intent is twofold: first, to make the Major Lee Moorhouse photographs of native peoples available to a wide audience; and second, to provide a site for historical descriptions of these images as well as descriptions created by native peoples. Moorehouse is an interesting figure. His Indian photographs are more authentic but less artistic than those of Edward Curtis. Not that his photos were not compositions--as we see in the picture of two Cayuse women posing in front of blanket above (description here). A nice collection of Moorehouse photographs with an enlightening text is Peoples of the Plateau: The Indian Photographs of Lee Moorhouse, 1898-1915 by Steven L. Grafe. This is another nicely done digitization project, with deep content and advanced search features. Especially welcome are the excellent and well-researched descriptions of each photograph. And you can download the images at will for use in the classroom--though of course you will need permission to publish or use the photographs in a commercial venture. The Mannahatta Project: "The aim of the Mannahatta Project is to reconstruct the ecology of Manhattan when Henry Hudson first sailed by in 1609 and compare it to what we know of the island today. The Mannahatta Project will help us to understand, down to the level of one city block, where in Manhattan streams once flowed or where American Chestnuts may have grown, where black bears once marked territories, and where the Lenape fished and hunted." See a slideshow of their preliminary results over at the New Yorker website. The slideshow is an internet sidebar to an article about the project that was published in the October 1 2007 issue of the magazine and an abstract may be found here. Historic landscapes reconstructions rely on history (old maps, land deeds, travelers' accounts) and science (soil and vegetation analysis, climatology) and anthropology (how humans used and altered the land). The latter is especially significant as we discard the concept of "wilderness" and come to understand the extent to which the American landscape was man made, even before Columbus landed. 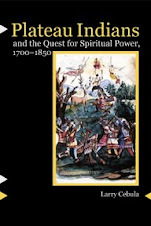 (see Charles Mann's article "1491" for an overview of the research). Here is a fun historical story from the Spokesman Review. Home renovation reveals pressing past: "Before offset printing took hold, a flong was the papier-mache mold made from the galley, or flat set of metal type. The flong was the bendable form that was used to make the semi-circular metal page plates added to a press roller." The brief video is fascinating. The Civil Rights Digital Library "promotes an enhanced understanding of the Movement by helping users discover primary sources and other educational materials from libraries, archives, museums, public broadcasters, and others on a national scale." Boasting a huge roster of humanities partners, the Civil Rights Digital Library contains--well, I am not sure how many items but a lot! There are documents of course, but also many thousands of photographs, sound files of oral interviews (though unfortunately presented in the proprietary Real Audio format), and even moving images from the Civil Rights struggle. There are also educator resources and a really robust set of search tools. There is plenty of Northwest content at the library. 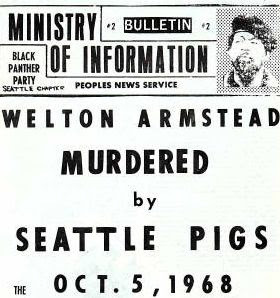 The image in this post is from a Seattle Black Panther pamphlet from 1969, "Ministry of Information Bulletin #2." You can also hear Nancy Nelson sing two lovely civil rights songs: My Lord, What a Morning and Let Us Break Bread Together. And as elsewhere in the nation, the Civil Rights movement affected more than just African Americans--see this record on the enforcement of the Indian Civil Rights Act. This is really an exemplary digital history project. The content partners are broad and well-chosen, the content is rich and varied and includes many one-of-a-kind items that would otherwise be unavailable to most researchers, documents are presented along with sound and moving picture files, the site is nicely laid-out and easy to search and navigate. Quite unlike that sill flash site at the Library of Congress I wrote about last week, The Civil Rights Digital Library is a model for serving up historical resources on the web. 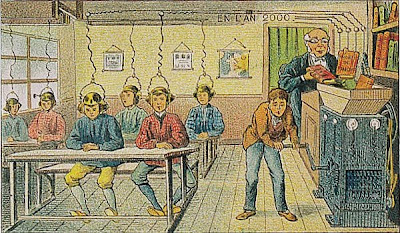 Check out this delightful set of images, French illustrations from 1910 of what the year 2000 would look like. I especially love the Correspondance Cinéma - Phono - Télégraphique and the Automobiles de Guerre. If you like this stuff (and you do) see the wonderful blog Paleo-Future which is dedicated entirely to posts "about a future that never was."